Pearce initially made the decision to invest in DynaSCAPE Design this past Feb ’18. In a very short amount of time, she was able to learn how it works and create beautiful job-winning landscape plans. 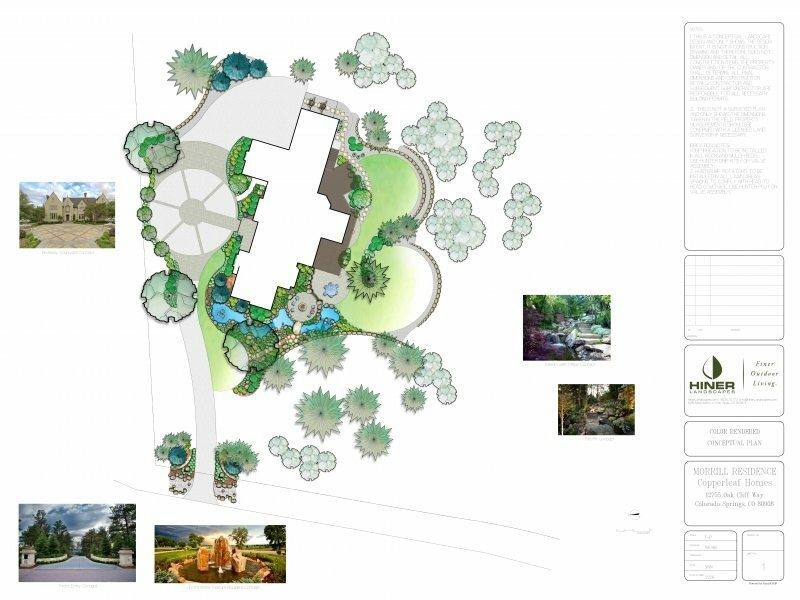 Her hybridized approach of creating her plans using DynaSCAPE Design and rendering them by hand produced a style that can only be described as a marriage of her passion for art and landscape design, and they really are stunning. When I was talking to Pearce about how she got started, she described her passion for the outdoors and how her creative curiosity drove her to wanting to design and create. Her undergraduate studies included art and geology, but she found a new passion, learning about landscape design. Moving to the DC Metro area to take an internship with a landscape design/build firm, she enrolled George Washington University’s landscape design program in the evenings. Right around the time she earned her certificate in landscape design is when she started her family. Living in Phoenix, AZ for the better part of four years with her plant expertise residing with east coast palettes meant that she was feeling a bit out of her element. Pearce and her family moved back to South Carolina about three years ago and has really found that she’s hitting her strides now. Seeing a gap in the marketplace, Pearce positioned herself and her business as a resource for homeowners that were looking to get landscape work done but wanted to start with a plan, and a resource for homebuilders and landscape contractors who don’t have landscape designers on staff. Now Pearce B Designs is a booming landscape design business that regularly keeps Pearce in a fun balancing act being a mom to three beautiful children and running a successful landscape design firm. As a professional landscape designer who drew by hand for many years, Pearce found herself with a heavy workload that often took much too long to turn around finished presentations needing to increase her capacity. She mentioned that she was avoiding discussions about plan revisions simply because they were too difficult to do by hand; couple that with needing to manually creating plant lists, takeoffs, plant photo catalogs and not being able to be mobile in her work. She decided that she was going to move to a software solution for her landscape design work. In her search for the right software solution, Pearce evaluated Pro Landscape, Vectorworks Landmark, Land F/X, and DynaSCAPE Design. She mentioned that she had been looking at Vectorworks Landmark for sometime, but kept coming back to DynaSCAPE because of the beautiful graphics (the artist in her had a hard time letting go of the hand drawn look), the learning curve, and the price point. In five months, Pearce has learned how to be very effective using DynaSCAPE Design and references her successes in increasing her capacity to complete larger projects and more work overall as well as significantly increasing her efficiency has led to a more successful landscape design business. She said she loves that she can make changes quickly and can easily work with the data she collects during the site analysis phase. If she could add one thing, she would like DynaSCAPE to add more plant symbols of larger varieties. Please check out Pearce B Design’s website and follow her on Instagram!